Uplift Your Taxi Booking Business Today! Lyft is one of the successful taxi apps across the globe and many people save the dream in their eyes to have a similar kind of taxi app. For those enthusiastic and energetic minds having fresh ideas to kick-start the business, a Lyft Clone is an ideal option to go with. At AppEmporio, we have created an exact Lyft Like App that would fit exactly for all your taxi business needs. Our taxi app solution is highly reliable and perfect to work for any scale of business. It is flexible and always ready to include more features according to the needs. The attractive UI of our Lyft Clone can keep the riders stick with the app and enables them to get whatever they want in just a few taps. GPS integration ensures quick and perfect taxi service every time. It allows the user to track the taxi, check the status, ETA and many more. From the ride management of admin panel, the admin can manage all types of rides from just a single screen and easy to manage buttons. Flexible online payment options help to create an ultimate user experience with our Lyft Clone. The one can use the card and e-wallets. How The Users Would Get The Taxi In Just A Few Minutes? 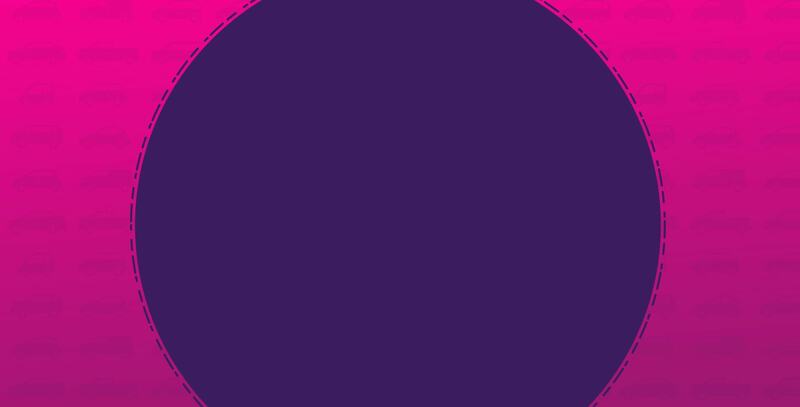 Logging in to the Lyft Clone enables the app users to explore and book the taxi. The nearest taxi driver would receive the request once the user books the taxi. The driver would reach the user as soon as possible and the ride would start. The rider can pay online or offline and rate the service as the ride gets over. There would be plenty of vehicle options in the app to select from like economic, standard, luxury and many more. The rider can choose one. The rider app would show all the vehicle details like driver name, car type, color, plate number etc. to the rider once the rider book the ride. 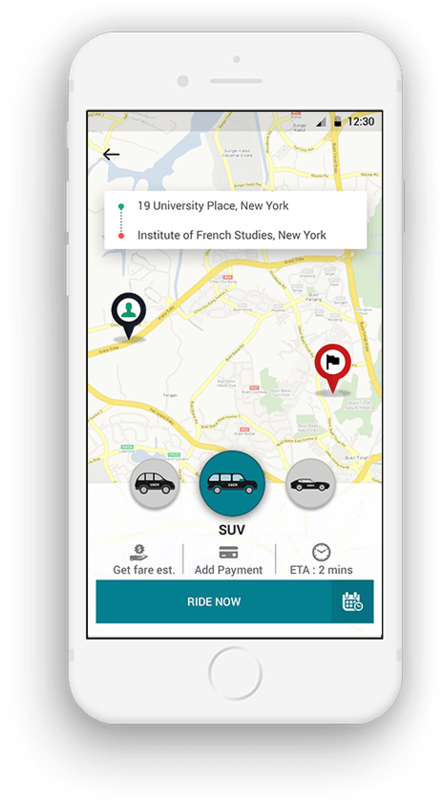 The rider app allows the riders to check the fare for the particular route the rider is willing to go for. They would even get the ETA in the app. The riders can enjoy the fixed rate rides for all the popular riding routes of the city like airports, city centers, popular parks or lakes and others. Multiple payment options facilitate the riders to pay in the most flexible and convenient manner. They can pay either in cash or can pay online. In any specific situation, there is the facility for the riders from where they can cancel the booked ride. It is one more convenient ride feature. The drivers can call the riders who have requested for the taxi. The phone call is to avoid any kind of confusion or to inform about any updates. Online verification of the documents eliminates the physical long process and also allows to upload the required documents from the driver app. The navigation feature of the driver app helps the drivers to reach the desired destination of the rider with the facility of real-time route tracking. The complete invoice along with all its details like rider name, the total amount of the ride etc. is accessible to the drivers for their reference. The driver can select the serving preference. For example, they can choose to serve on the basis of language, gender or the needs of the rider. Earning management is possible inside the driver`s app including the management of earning details as well where the driver can explore it. The admin can explore and manage the scheduled ride requests of the riders and the admin can even make necessary changes if needed. The admin can check all the ride cancellation requests along with the reason so that they can work on making the service more convenient. It is necessary to update the app to provide efficient services with the help of the app. In certain situation, the admin can force update the app. 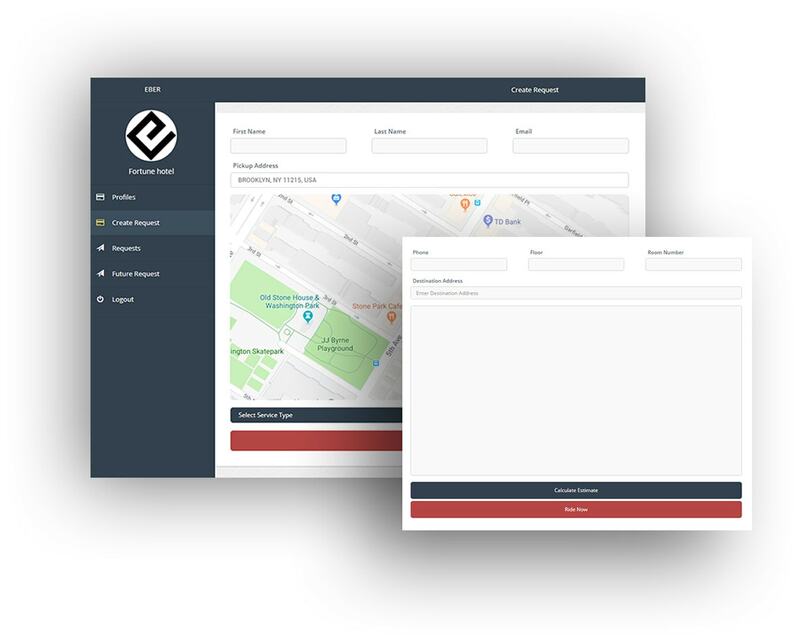 All the details of a hotel working collaboratively with the app for taxi service would be there in the admin dashboard. The admin can explore it. The admin can explore all the records of everything and can even download it in an excel sheet for record keeping or analysis purpose. The admin can manage the providers from the admin panel where they can verify the documents, send the approval or can edit the details. The preliminary task of the dispatcher is to create the ride requests on behalf of the riders. The dispatchers can create the future ride requests also. Date filters allow the dispatchers to sort the data in the simplest form of date wise filtering. The dispatcher needs to just enter the dates for this. Bank details are necessary to be entered in the dispatcher`s profile if they want to get paid for their service directly in their bank account. The dispatchers can sort the data in a different manner. They can select the sorting option to sort the data on a daily, weekly or monthly basis. It becomes easy for the dispatcher to directly search for anything from the history. This feature is only for the requests that they have created. The ride requests created by the dispatcher can be managed from the dispatcher panel where they explore various details and can edit it. Saving location is to facilitate the riders to get rid of typing for the same location again and again by saving some of the regularly used locations. The riders can choose among the wide range of vehicles according to their need. There would be the vehicles that suit every need and budget. History section enables the riders to explore all the ride requests that they have enjoyed in past whether it is the completed or a canceled ride. It is very easy to recover the password from the rider panel. That is a very helpful feature in the emergencies while the rider forgot the password. The riders can pay with the most convenient payment method. They would always have options for payment and choose the preferred one. There is a special facility for the riders from where they can book the rides that they are going to need in the future. Ride later is especially for that. The riders can manage their profile from the rider panel where they can simply add, edit or delete various kinds of personal and vehicle details. Filters help the drivers to reach the desired data as quickly as possible. They can apply the filters to get the data in a particular order or date. Managing the vehicle from the driver panel is easy where the driver can add or remove any vehicle and can even edit the details of the vehicle. The history section keeps the track of each served ride along with all the details of the ride like rider name, paid amount, payment method etc. Bank details are required to be entered into the driver`s profile if the driver wishes to receive the payment of rides they served in their bank account. 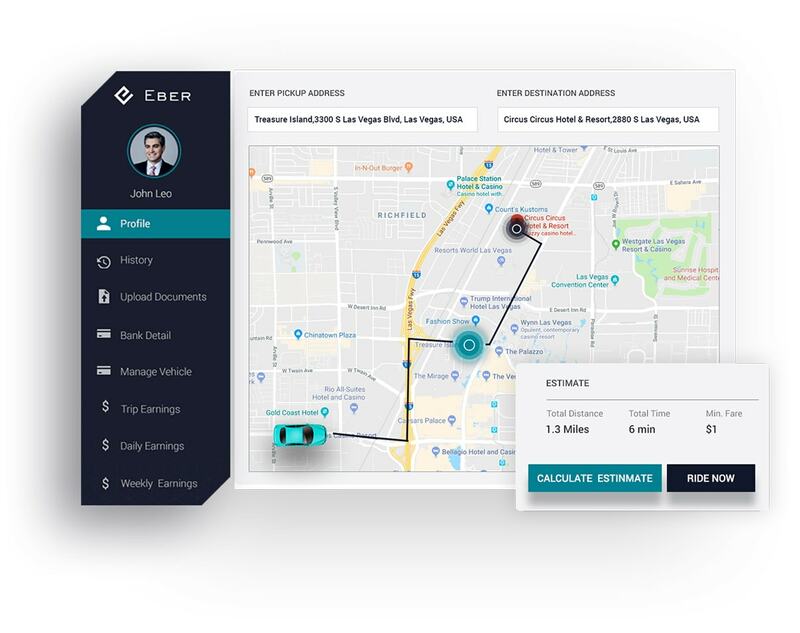 All the earnings and its details would reflect in the earning details section from where the driver can check it at any time according to the need. 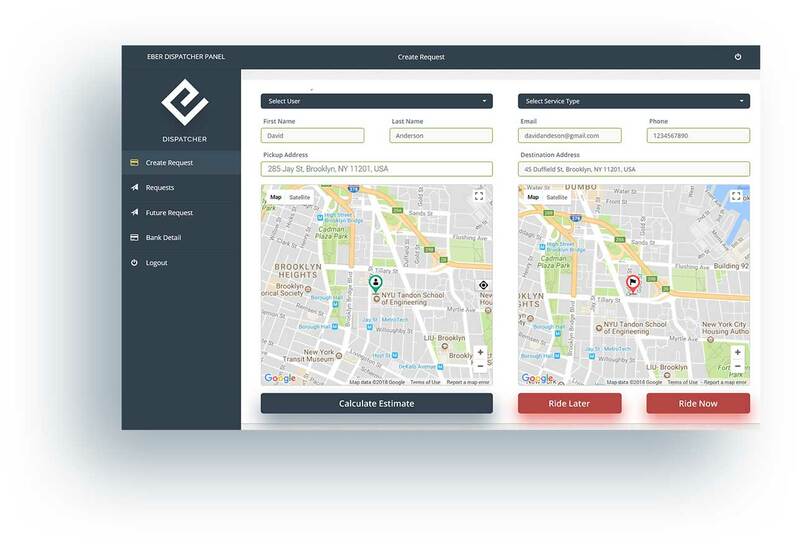 The partners need to create their separate profile in order to start managing the taxi business tasks like managing drivers, managing requests etc. Request creation is possible from the partner panel. The partner can create the ride request on behalf of the rider by entering the necessary details. If the partner wishes to receive their earnings directly in their bank account, they need to enter required bank information into their profile. 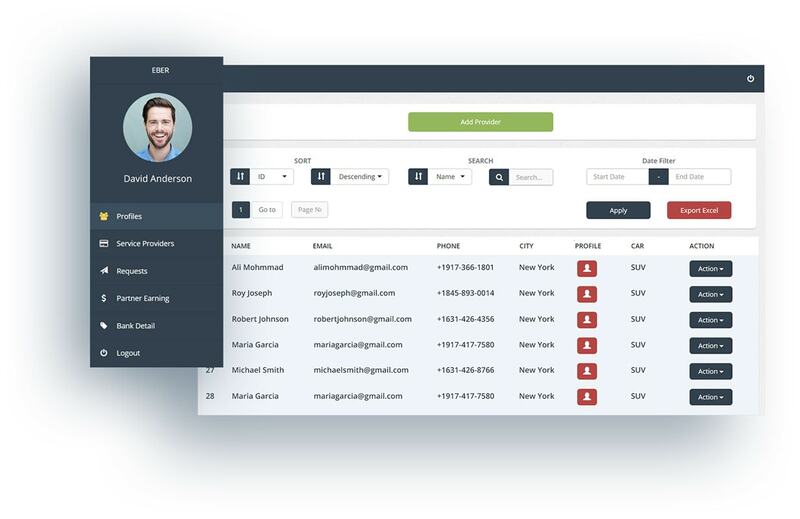 Each of the partners can manage the service providers means the drivers from the partner panel where they can add drivers or can edit their details. 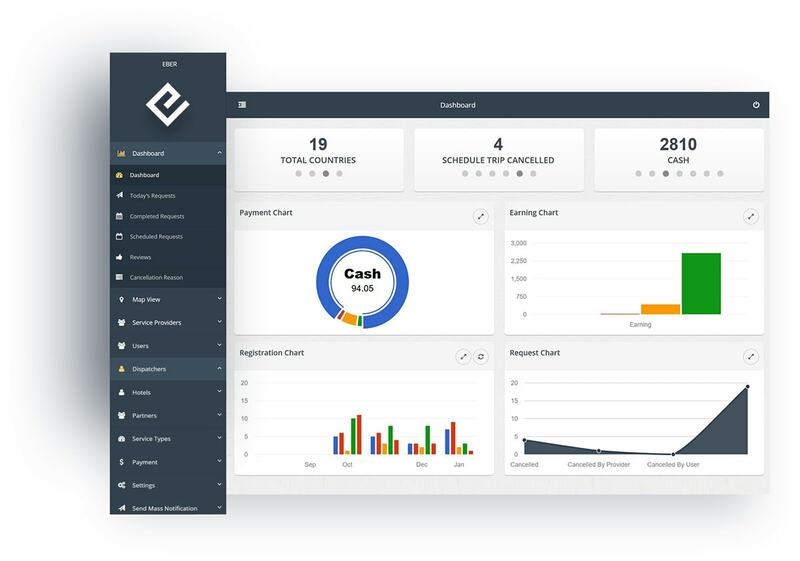 The earning of the partner can be managed inside their profile where they can receive their earnings from the admin and check the earning details. The filters are available to make the sorting and searching easy. Preferred filters can be applied as per the requirement to retrieve the data. The hotels willing to book the rides for their guests in the app needs to register first in order to create a separate profile for ride booking. The hotels can manage their profile from the hotel panel where they can add, edit or delete the details related to their hotel and required for the app. The hotel can book the ride for the guest who is going to travel in the future. For that, they need to use the ride later feature of the app. The social media login enables the hotel to login into their profile with just a single tap on the preferred social media icon to simplify this task. 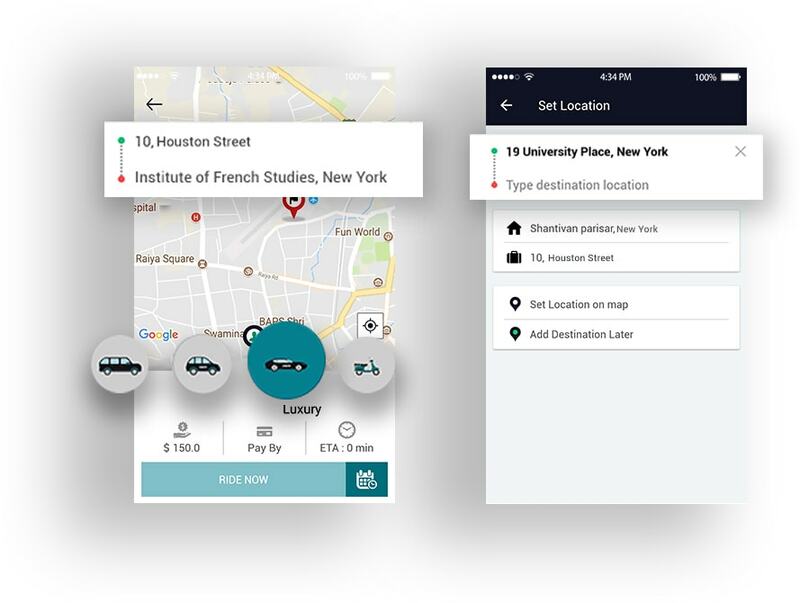 The hotels can create the ride requests for their guests from the hotel panel and they need to enter the required details to place a taxi request. The request history enables the hotel to explore all the ride request created by them in the past along with all the required information. 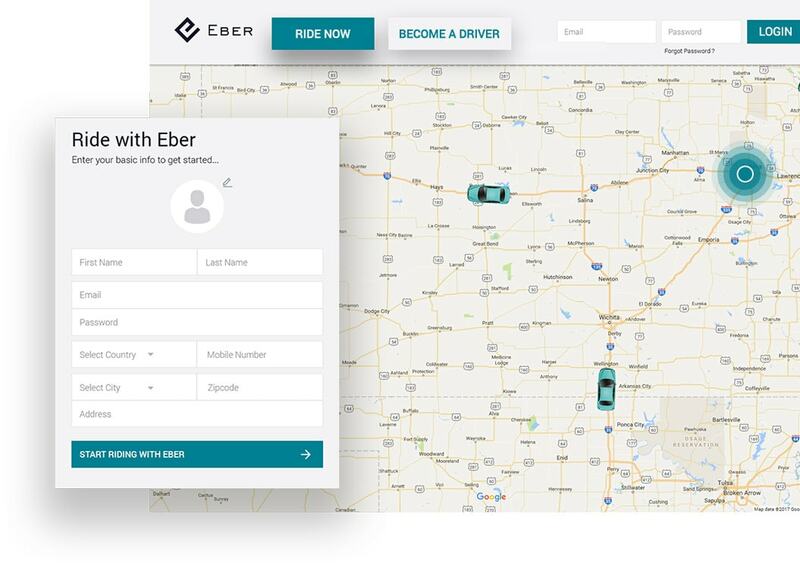 App Emporio`s Lyft Clone is an ideal option for the entrepreneur seeking to have an exact solution according to their needs. 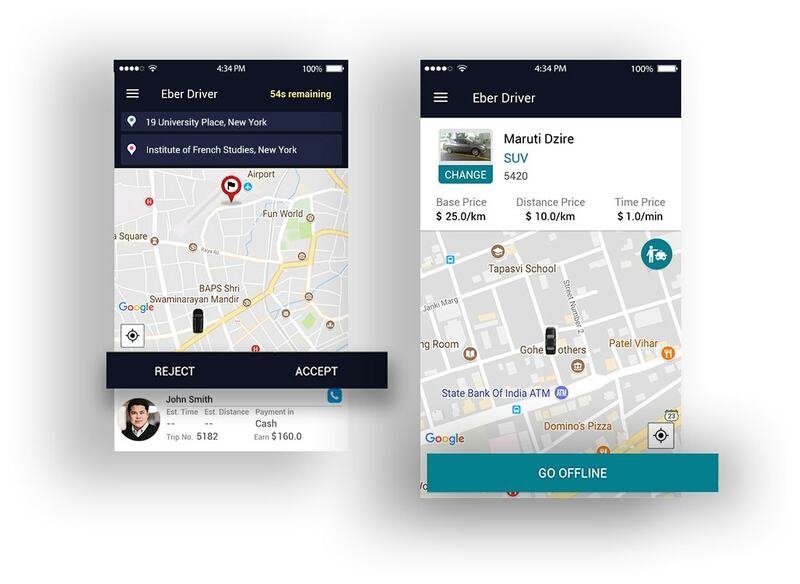 The company ensures the high quality of the taxi app and also helps to expand it by adding new features to it. Our white label solution is the best for every size of the taxi business whether it is a new small startup or a well-established and reputed taxi giant operating manually. The Lyft Like App solution of AppEmporio is the quickest way to get started with online taxi app business. The first phase would be of analysis where our team would analyze your need and gather the requirements to understand your project thoroughly. In the phase of app design, our creative designers would craft stunning logo, set the theme and colors of your choice for the UI of your Lyft Clone. Our skilled developers would start working on the app once the designing part gets completed. Here they will add the features that you have asked for. The squad of our testers would test each and every element of your app from the top to bottom so that you get only the best of our team’s skills. We would deploy your apps on different platforms so that you do not worry about targeting the audience and can focus on other business activities.